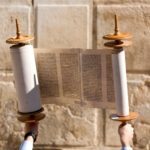 In this course you will discover how the Oral Torah tradition which was transmitted to Moses at Mount Sinai goes far beyond the practical application of the commandments. You will learn about the universal teaching for a pious attitude and righteous traits of character which can be developed in a person's behavior. 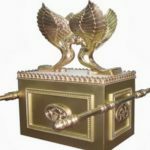 It will also be clarified that although the amount of Torah knowledge that can be learned is vast, its underlying general purpose is to increase one's knowledge of God. Working toward this goal, we will first cover the concept that a person can achieve a spiritual ascent by making efforts to know God in truth. We will delve into the two main parts of this effort, which are recognition of God's Existence, and recognition of His essential Unity. From this foundation, we next present the spiritual and moral path that the Torah prescribes for a human being who desires to become more righteous and personally closer to God. As expected, this involves personal development of the character traits and attitudes that are praised and encouraged in the books of the Hebrew Prophets. This is referred to as revealing and nurturing the "image of God" within a person, and the course will connect with the objective that is taught in the hassidic (pious) movement within Judaism, for a person to become a "servant of God." Acquiring knowledge of God is a four-step process, and each of these steps is explained in this course: raising one's spiritual level through recognition of God's existence and His unity (which is recognized through understanding the unity of His powers); understanding that this requires rejection of any ideas of other deities that act independently of God; learning how recognition of Divine Providence leads to greater trust in God; and synthesizing this knowledge in a way that brings it to be manifested in one's emotions and actions. By entering into the "Seven Gates" that are explained in the book which this course is based on, it is possible for a person to always reveal and nurture the "image of God" in which all human beings are created. You will learn the various aspects of the "image of God" within every person. 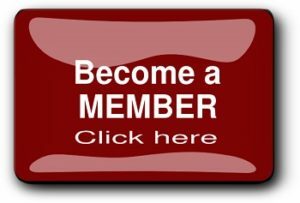 You will learn the steps to recognizing God's existence and essential unity. You will learn the concept of the unity of God and His powers, and how this negates the idea of independent deities other than God. You will learn how reflecting on revealed Divine Providence brings a person to deeper faith and trust in God. You will discover how specific aspects of Torah knowledge lead a person to bring his recognition of God into the refinement of his emotions and deeds. Success in becoming a Hassid Umot HaOlam (Pious of the Nations of the World) and closer to your Creator, by fulfilling His Will in an outstanding way! A Hassid Umot HaOlam is a Gentile who earns eternal spiritual reward by accepting upon himself to fulfill the Seven Noahide Commandments. He is careful in their observance because the Holy One, blessed be He, commanded them in His Torah through Moses. Great course ! I just found the quizzes a bit challenging! The brand new quizzes are fully available! You should try to do them again, so you can get your Certificate (as well!)! Yes in did you are right about the Quiz. We just prepared a much easier Quiz corresponding to each lesson specifically. It will be available during the next few days with HaSHem’s Help. Also the other Courses on the 7 Gates will become progressively available Bezrta HaSHem. I tried really hard on this course but only managed 60 percent for the first 3 quizzes, which I took 3 times each. Now I don’t seem to have any option to be able to pass this course? What should I do? You can re-take the full course again! I would love to retake the whole course. How should I do that? Sorry. Maybe it’s really obvious how to retake the whole course. How is that done, please? Just click on Re-take the course! Just go to the top of the curriculum of the course and click the Re-Take Button! That’s is!